Recovering from the Easter brunch carb overload, I went looking for something interesting yet digestible to make for dinner. I ended up with an impromptu combination based on a couple of recipes in a Penelope Casas book. 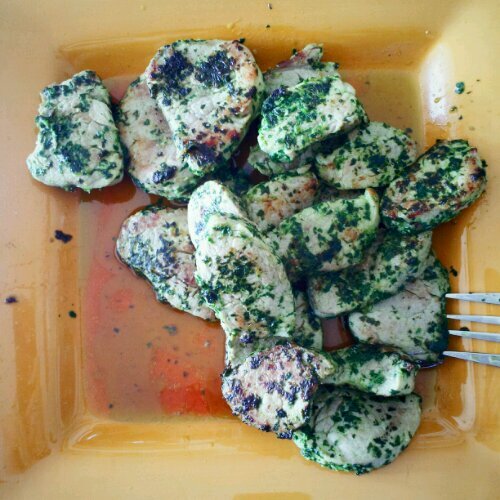 Two pork tenderloins cut into medallions, then marinated in a pesto of fresh parsley, garlic, salt and olive oil, and pan seared in a skillet, were easy and bright tasting. To go with I sauteed a bunch of Swiss chard in olive oil then added a little slurry of ground cumin in red wine vinegar. 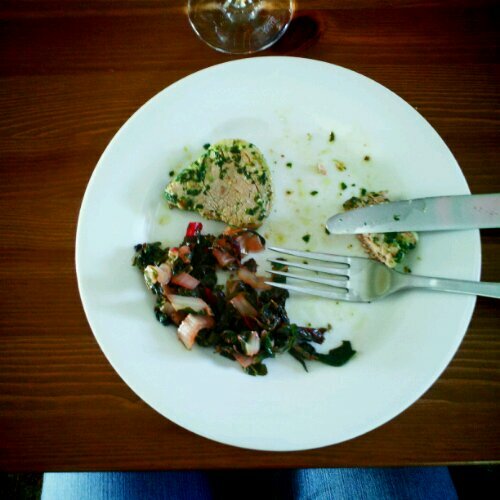 It was great – next time I might try the full recipe of sauteed bread mushed up with the cumin and vinegar.